A fine watch is a statement of your success. It shows that you have sophistication and class. Everyone wants to send that message and for a price, you can do that as well as know the time. Here is a list of the top luxury watch brands. 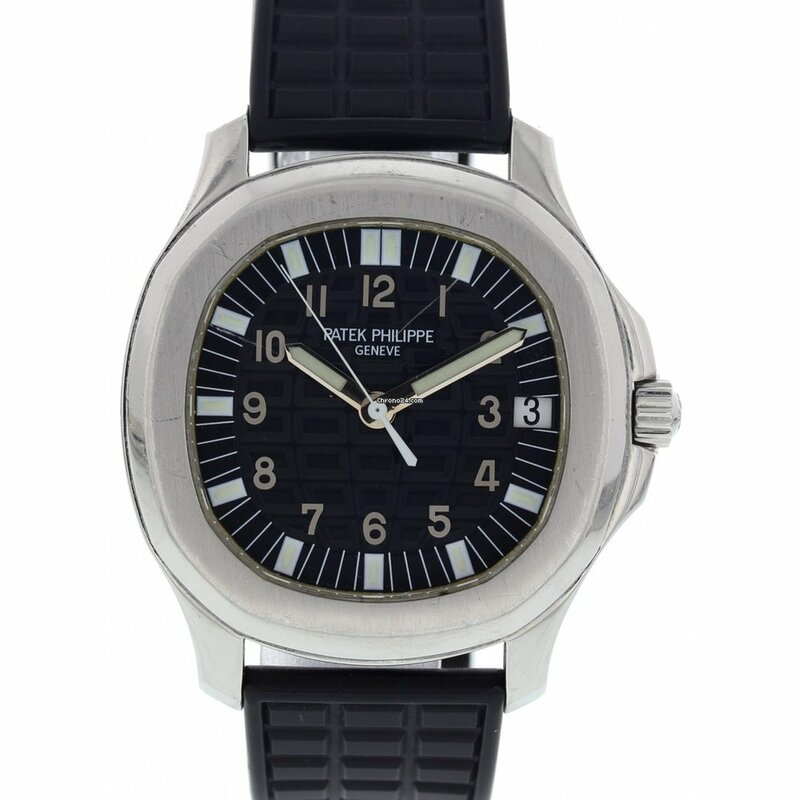 Patek Philippe is a company that was founded in 1851. It has been called the “King of Watches” which is ironic considering members of royalty have been seen wearing the brand including Queen Elizabeth. Patek Philippe made the Henry Graves Supercomplication Pocket Watch which is one of the most expensive ever. It was made in 1932 and was sold in 1999 for $11,000,000. One of their more recent models is the Aquanaut. With its stainless steel case and black rubber strap, this piece presents a modern look which can be expressed in different colors such as “ Pure White”, “Mysterious Black”, and “ Ocean Blue”. To accessorize this item Patek Philippe created a ring with 21 diamonds and 5 interchangeable inserts for a unique statement. 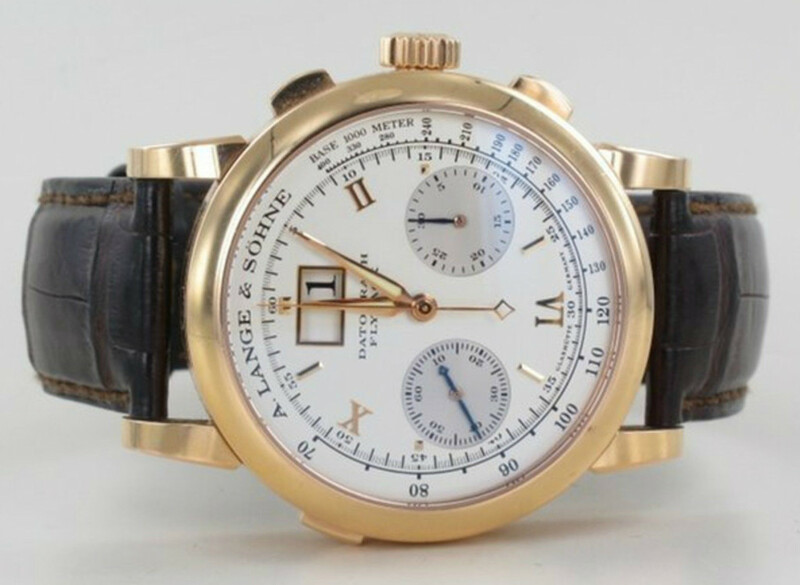 A. Lange & Sohne was founded in Germany in 1845 and though the company ceased to exist during the Soviet administration of East Germany it was restarted in 1990 and has become a top contender in the watch world. A. Lange & Sohne is known for double assembling; disassembling and then reassembling the watch to make sure the pieces are placed correctly. One model family of A. Lange & Sohne is the Datograph Flyback. This watch’s case is made out of rose gold while it’s dial is silver on which there’s a rather large date window, a common feature among Lange’s watches. The dial is protected by an anti-reflective sapphire crystal and sports Arabic numerals. The Datograph has a stopwatch with a fly back function which allows it to restart for continuous timing without having to reset the lower chronograph. To finish this stylish look it comes with a black crocodile leather strap with a rose gold tang buckle. Mont Blanc is a company known for fine writing instruments such as pens but in the latter half of the 1990s decided to branch out to watches acquiring the exclusive watch marker Minerva. The Richemont Group, which owns both companies, decided to merge Minerva into Mont Blanc. Soon after, the company developed a reputation for a bold and clean design. One of the product series from the company is the Time Walker which comes in an array of designs. Common features among them are stainless steel cases, sapphire windows, luminous, self-winding, and water resistance to various degrees. 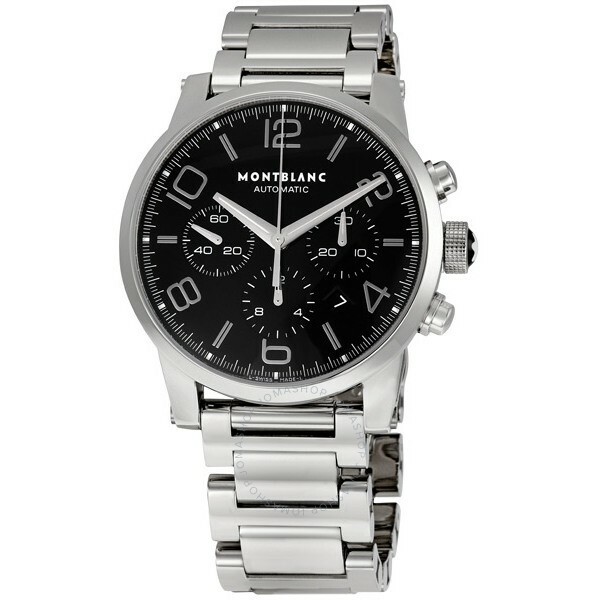 Their dials range from black, brown, and silver and their bands go from black crocodile leather to silver bracelets. With such variety, there’s a look for nearly everyone. Another Swiss watch company, Breitling focuses on three categories; diving, aviation, and luxury. Unlike other companies that also produces jewelry Breitling sticks to watches. 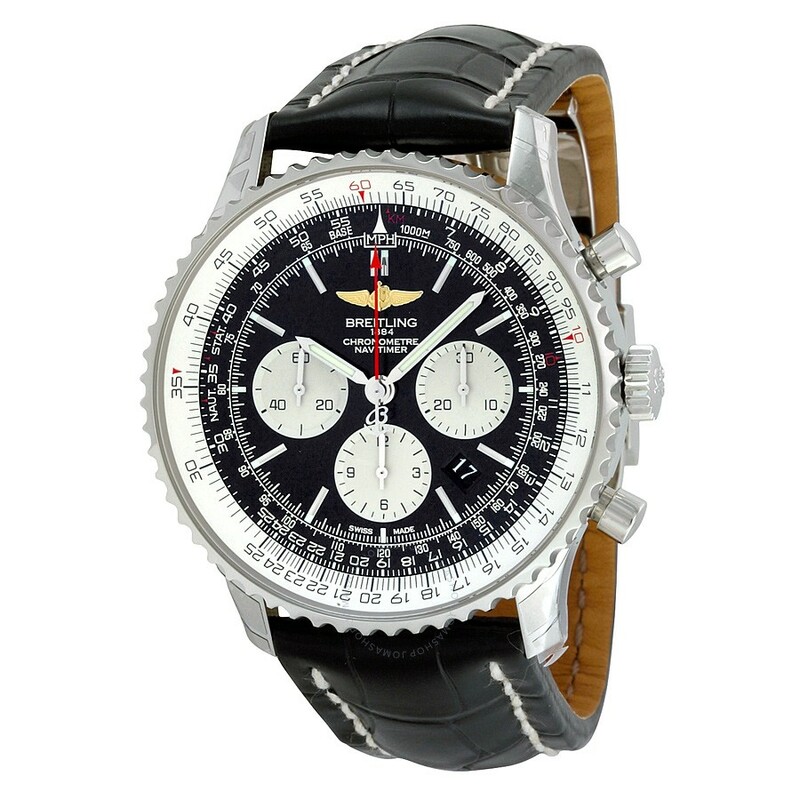 One of its designs is the Navitimer with both its case and bracelet constructed from stainless steel. It features scratch resistant sapphire crystal, self-winding with second-time zone movement, and water resistance to 30 meters. The Navitimer’s design and features make it a good choice for people in need of reliability. While only recently starting out it’s already left a mark in the world of watch brands with its unique style. Started in the 1970s and introduced to the public a decade later it quickly became a success. It was acquired by LMVH (Louis Vuitton-Moet Hennessy) in 2008. 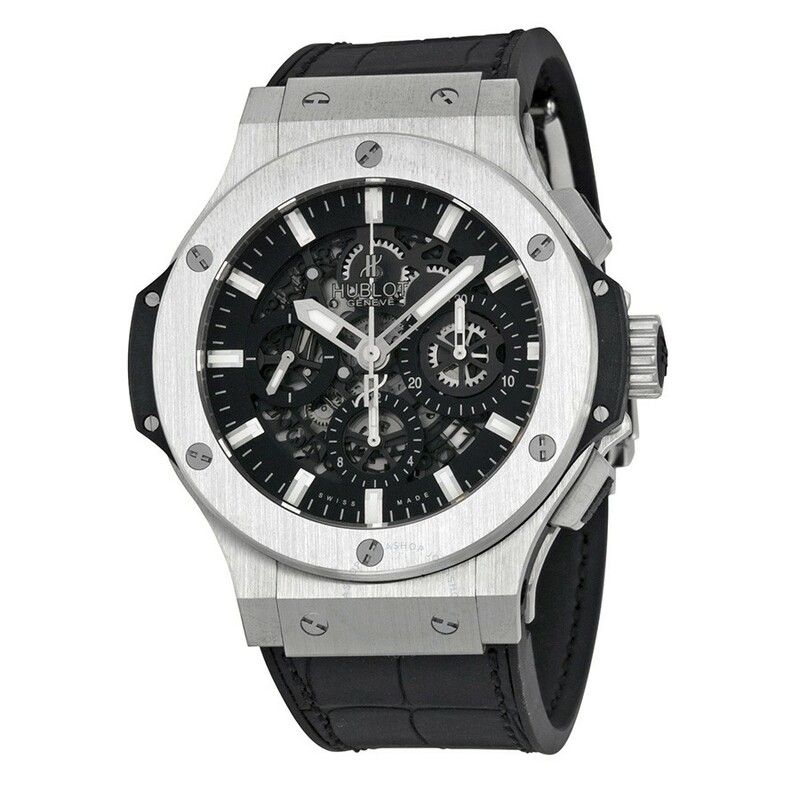 One of the pieces made by Hublot is the Big Bang Aero Bang. The case is composed of stainless steel with a ceramic bezel and comes with a black rubber band. 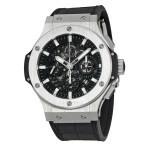 It has automatic winding, a power reserve of about 48 hours, and is water resistant to 100 meters. It is a well-crafted watch. You are here: Home / Style / What Are The Top Luxury Watch Brands?